Includes: Single Action Pump, Hose & Universal Hose/Valve Adaptors with Carry-bag optional Manometer/ pressure gauge. Inflates up to 15psi in minute, comparable with more expensive consumer electric pumps. 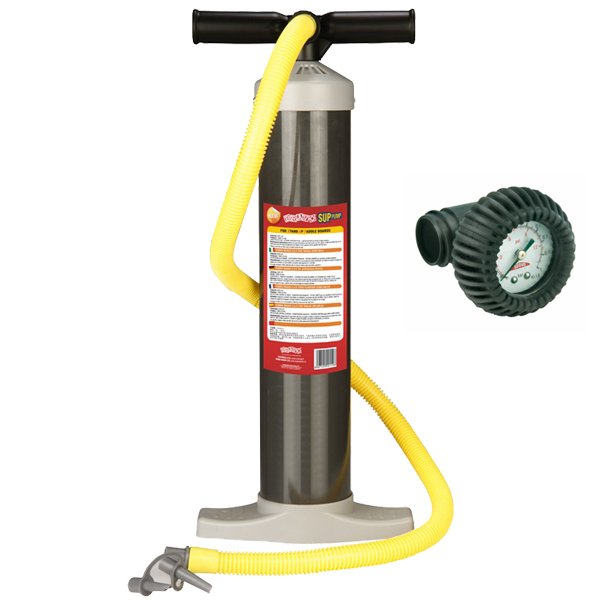 This Bravo SUP hand pump has been developed for use on inflatable Stand Up Paddle Boards and other inflatable boats which require a very high pressure (1 bar - 15 psi), to guarantee the right rigidity for use. 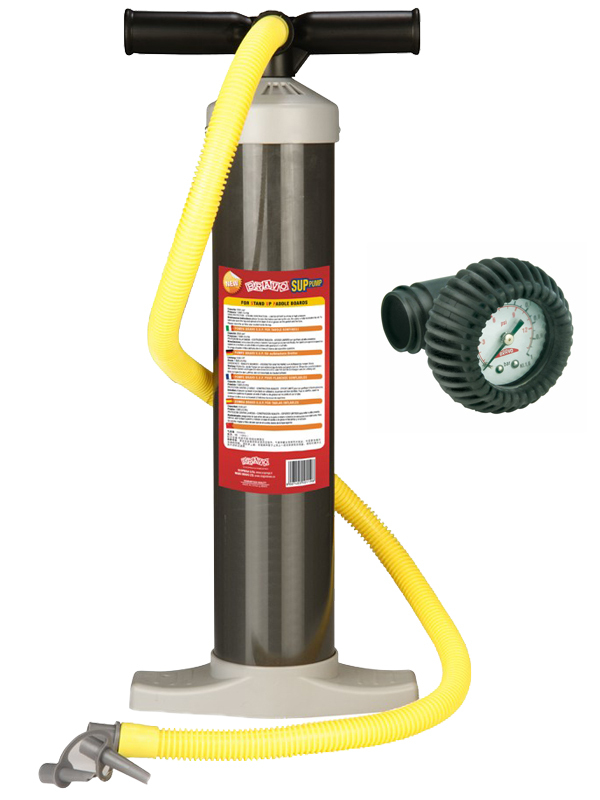 This stirrup pump is tall and thin with a capacity of 2500cm3 and an aluminium shaft which allows it to inflate a SUP board in 5-6 minutes. It comes with universal valve adapters, its own carry bag for easy transportation.